If you own a car, use public transportation, go to work or school, use health care, shop or dine out, or are part of a community, parking affects you, probably in more ways than you’ve thought about. 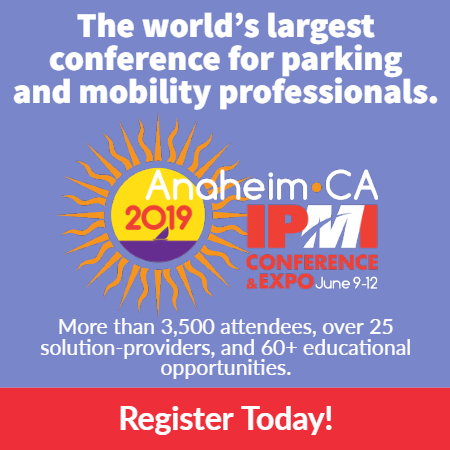 The International Parking & Mobility Institute (IPMI), formerly the International Parking Institute (IPI) is the world’s largest association of professionals in parking, transportation, and mobility — professionals who keep all of us moving. Members include everyone from garage owners and operators to architects to city managers to government agencies, health care centers, universities, airports, and convention centers. IPMI works to advance the parking and mobility profession through professional development, research and data collection, advocacy and outreach, and with experts from around the world in dozens of specialties to make sure parking and transportation function efficiently. So people, businesses, and communities can keep moving. The Board of Directors is the voice of the membership. The Board has an instrumental role in directing IPMI's initiatives to advance the parking industry and profession. Visit our Staff Directory to get to know our staff, and reach out about specific programs and projects. The APO Board provides leadership and stewards the Accredited Parking Organization program, and the CAPP Certification Board leads CAPP, IPMI's unparalleled industry certification. Committees are run by members and play a major role in IPMI's programs, operations, and overall direction. IPMI appreciates the dedication and commitment of its volunteer leaders who drive so much of the work accomplished by Committees. Be on the lookout for our next Call for Volunteers in August 2019. From its beginnings in 1962 to today's organization that connects parking professionals around the world, IPMI's story parallels the increasingly important role of cars and other vehicles in our daily lives. Read more here. Reach out with your questions and ideas. Submit your article ideas, member news, blog posts, and events. We love to hear from you! IPMI allies with state and regional parking associations to advance the parking profession. Want to learn more or get involved? View a list of State and Regional Associations websites, view a list of contacts, or check out upcoming events.